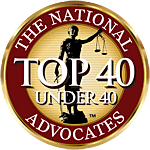 Have you been living and working in the United States for a long time now, but perhaps living “under the radar?” Or are you trying to find a legal method of keeping someone you love in the United States? Hiring an experienced DACA lawyer, such as Hykel Law Firm in Philadelphia, is the shortest and most direct route to remain in the U.S.A. and obtain a work permit and driver’s license. Renee Hykel Cuddy, our founding attorney and DACA lawyer, has an abundance of knowledge and experience in helping her clients stay in the United States legally and ethically. DACA stands for “Deferred Action for Childhood Arrivals” and is a legal process that can assist qualifying immigrants who are in the U.S. illegally to avoid removal action (commonly called “deportation proceedings”). Upon approval, successful recipients will become eligible for a work permit,driver’s license and social security card among other benefits. You currently do not have an lawful immigration status in the U.S.A. If you meet these requirements you should apply for DACA to obtain a work permit and driver’s license. Most importantly, the government will not deport you if you are granted DACA. 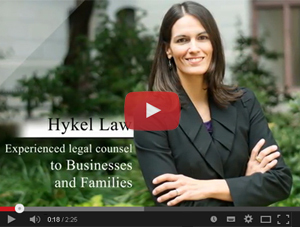 Hykel Law can help you collect the necessary papers to prove you have been here since 2007. Our DACA Lawyer has obtained many approvals for applicants who did not think they had enough documents to have their case granted. Any criminal charges posed against you, whether felony or misdemeanor, can greatly impact your DACA application. Therefore, if you have any kind of criminal record, it is essential that you speak with Hykel Law’s DACA attorney in Philly prior to filling out or filing any paperwork. SPEAK WITH OUR DACA LAWYER IN PHILADELPHIA TODAY.